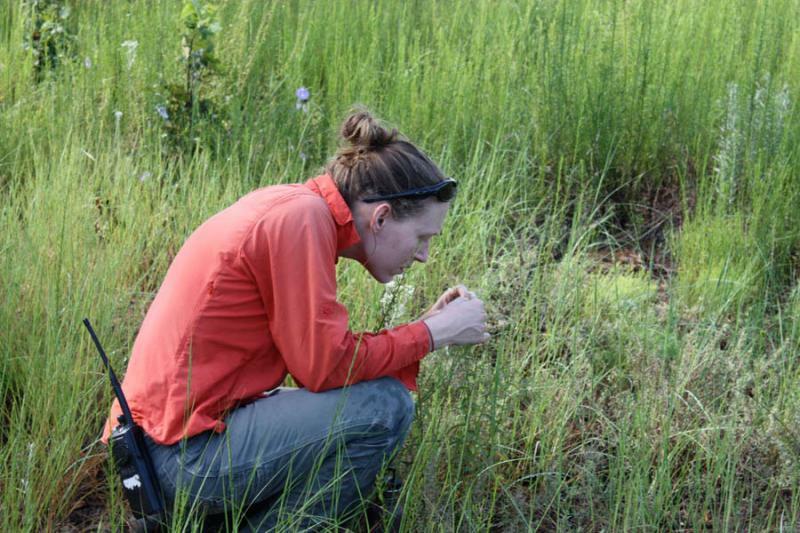 As a future student in the Department of Ecology, Evolution, and Organismal Biology, you will have the opportunity to work beside more than 30 faculty members and more than 60 fellow graduate students. Your research and education will benefit from the interdisciplinary environment housed within the hallways of Bessey Hall. The department offers graduate work leading to both Master of Science (M.S.) and Doctor of Philosophy (Ph.D.) degrees. Graduate students in EEOB receive financial support from a combination of fellowships, research assistantships, and teaching assistantships through the undergraduate Biology program. New applicants may compete for special Graduate College fellowships and research assistantships, which often include additional stipends, scholarship support for tuition, and research funds. All graduate students on assistantships for at least 3 months during each semester are given resident tuition status. 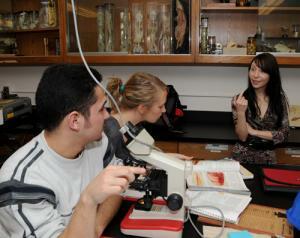 For the academic year Ph.D. students receive 100% of tuition assistance. For M.S. students, the benefit is 50% of tuition. PSI Fellowship - the Plant Science Institute Award is awarded to outstanding students with strong interests in plant life or utilization of plant life. Biotechnology Fellowships - awarded to graduate students with excellent GRE scores and GPA's. Graduate Minority Assistantships - awarded to under-represented minority graduate students by the Graduate College. All graduate students are encouraged to seek graduate fellowships from federal agencies such as National Science Foundation, and the Environmental Protection Agency. Research support is available from most professional societies and sources such as the Sigma Xi, American Museum of Natural History and the American Philosophical Society. EEOB faculty are affiliated with a number of interdepartmental programs. When making the decision to attend ISU, and join EEOB, it is important to first determine what interdepartmental program best meets your research and academic interests. Please see above for all the interdepartmental majors available to EEOB students or visit the Graduate College's list of Available Academic Graduate Programs. Once you have decided on an academic program, visit our People page to find faculty affiliated with that program. Select two to three faculty to research further by investigating their areas of expertise and their lab websites. When evaluating faculty, consider if their research interests are compatible with the questions you wish to answer. If you have located a faculty member in EEOB with whom you wish to work, contact them via email to express your interest in joining their lab as a graduate student. Be sure to include your desired degree, major, and how your research interests aligns with their current work. There are a number of our affiliated interdepartmental programs, including EEB, which require nomination by faculty during the admission process. In these cases, it is essential to develop a positive and supportive relationship with EEOB faculty prior to submitting your application. Admission to EEOB is a two or three step process that begins with your Application for Admission. Once your application is received, it will be evaluated by your interdepartmental program. In some cases, like EEB, your application must then be evaluated by EEOB. In order to be admitted, your application must be approved by ISU, your program of choice, and in some instances, EEOB.